The history of Fürth and Nuremberg is significant and rich. This is evidenced by the many historic buildings, cultural monuments and museums, all of which we encourage you to visit. 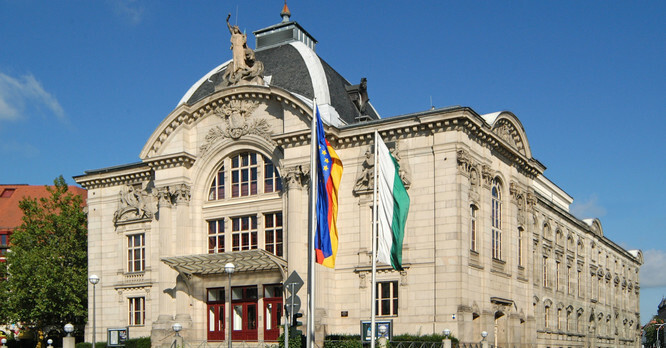 Marvel at the wonderful architecture of Fürth’s municipal theatre, one of the most beautiful theatres in Bavaria, and enjoy one of the many shows, such as musicals, dance extravaganzas, operas and other exciting spectaculars. The imposing structure of the town hall in Fürth old town is also impressive and a real landmark of the city. Other highlights include the lovingly-tended Fürth municipal park, the imposing form of the Centaur fountain and the Logenhaus, which bears the emblem of the city – the three-leaf clover. At the Fürth radio museum you can learn all about human technological innovation and the effect it has had on the world. Travel through history and learn about the development of a fascinating selection of consumer electronics. At the Jewish Museum of Franconia in Fürth (one of three such museums in the region) you can learn about the riveting history and culture of the Jewish people in Franconia. Enjoy the exciting exhibitions and learn interesting facts as you make your way around this captivating museum. Another particular highlight of the region is the Playmobil FunPark at Fürth Zirndorf. This leisure park is fantastic for children, with loads of fun and activities on offer. They can play on the park’s very own farm and learn all about the animals, negotiate an obstacle course and clamber all over a treehouse – all the while experiencing and learning about nature! Adored by young and old alike is the Fürthermare spa, with its thermal baths, sauna park and fitness centre. This popular spa and wellness oasis offers both relaxation and entertainment via such exciting events as aqua cinema nights, family pool parties or extended sauna evenings. Nuremberg boasts a very rich cultural heritage and an abundance of historical buildings. The landmark St. Lorenzkirche (St. Lawrence’s church), which houses one of the biggest organs in the world, is especially worth seeing, as is the Schöne Brunnen (Beautiful Fountain) on the city’s ancient Marktplatz (market square). You will also find the world’s oldest railway museum in Nuremberg: don’t miss the DB Museum (LINK), where you can learn, via interactive presentations, all about the history of the railways, as well as the latest technologies and developments. The Nazi Party Rally Grounds Documentation Centre is a particularly Nuremberg museum and is located in the Congress Hall of the Nazi party. Various permanent exhibitions deal with the rise and consequences of the National Socialist dictatorship. Of particular interest are the issues and events that were directly related to Nuremberg. The Germanische Museum is an important cultural institution and is well-loved for its huge collection of culturally and historically significant objects – some 1.3 million of them. Other noteworthy highlights include the 65 ha Nuremberg Zoo, on the outskirts of the city, and the Kaiserburg (Imperial Castle), another Nuremberg landmark. The famous Nuremberg State Theatre is another must-see. Its diverse programme has something for everyone – plays, operas, ballets and many other worthwhile shows! Albrecht Dürer’s House is the former home and workplace of one of the most gifted artists of the Early Modern period. Here, you can get to know his magnificent works, marvel at wonderful paintings and learn about historical printing techniques. The Excelsior Hotel Nürnberg Fürth is an ideal starting point for exciting tours through Fürth and Nuremberg. Extensive parks in the middle of the city! Enjoy the relaxing spa and various pools! 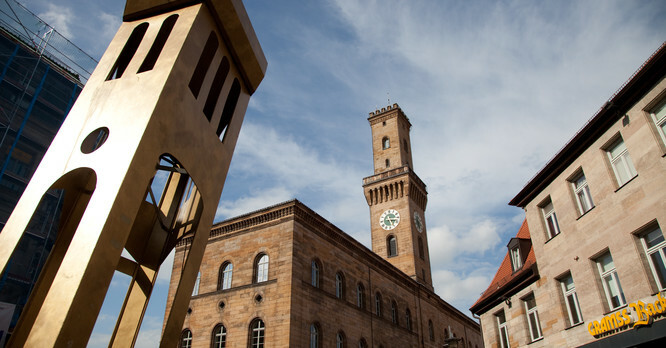 Explore the city of Fürth! Enjoy the world of Playmobil! Various theatrical performances with a unique backdrop!